Most titles these days have DLCs and Star Wars Battlefront is no exception. DLCs allow players to get more out of the game while developers can continue to make money by selling DLCs after the game has already sold. In other words, DLCs add vakue to a game. It’s a good system. 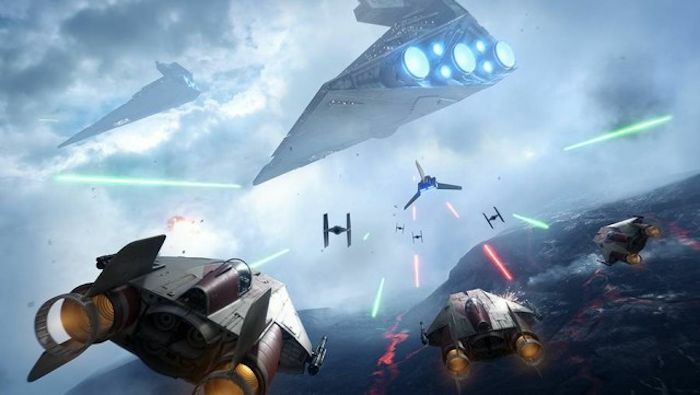 You may be wondering when the first Star Wars Battlefront DLC will arrive. Well, now we can tell you that it will happen early next year. The news was revealed on the game’s official website where they mention the $50 Season Pass. It also mentions that the first expansion for Star Wars Battlefront is going to be released in early 2016. How early we don’t know yet. Paid DLCs combined will give you four additional playable heroes and villains to the title, though the characters have not yet been specified. They will also grant you 16 multiplayer maps with new locations, over 20 pieces of new gear, weapons, Star Cards, vehicles and four additional game modes for Star Wars Battlefront. The Battle of Jakku will be released for free next month. If you pre-ordered Star Wars Battlefront you can get it on December 1st before it becomes available for everybody else on December 8th. So we will have a lot of extras for this game for sure.